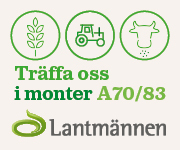 Borgeby Fältdagar started in 1999 and today it's the natural meeting point for the professional farmer. 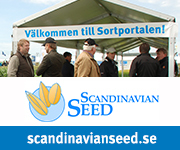 Every year more than 400 Swedish and international exhibitors and 20 000 visitors from nothern Europe meet here. We offer a successful and unique combination of demo cultivations, companies and experts, machine demonstrations in practice and seminars. The experts are all here, the colleagues, the customers and the suppliers. Here you will truly find everything and everyone within the trade. Take the opportunity to compare and have a chance to test and examine in detail, and enjoy personal meetings and discussions. Each year we gather experts and exhibitors for a new theme. Offering different theme activities and knowledge centres, is why there are many news to take part of at Borgeby Fältdagar.